To Our God: a great call to worship. It begins pretty chill, but, as my friend John Sherrill says, “wait for it…” It builds throughout, and you will get lost in worship during the declarative bridge, “Make his praise glorious, glorious, glorious…” Another friend has been using this song at his church for several months. It’s a keeper – very corporate. This Is Amazing Grace: An extremely corporate, gospel-centered song. The first time I heard it, I felt like I already knew it. “This is amazing grace, this is unfailing love. That you would take my place, that you would bear my cross. You would lay down your life, that I would be set free. Jesus, I sing for all that you’ve done for me.” I bet you just sang it as you read the lyrics and don’t even realize it! In Your Light: Ok, this one is a bit of a wild card, but it could work in the right context. It’s a little campy, with a dose of Hillsong stadium “WHOAS”, but it is catchy. “You’ve turned my tears and sadness into such joy and gladness. My heart can’t keep it in – I’m shouting, shouting!” I recommended it to one of our clients, Lone Star Cowboy Church, who could give it a great rockabilly flair. 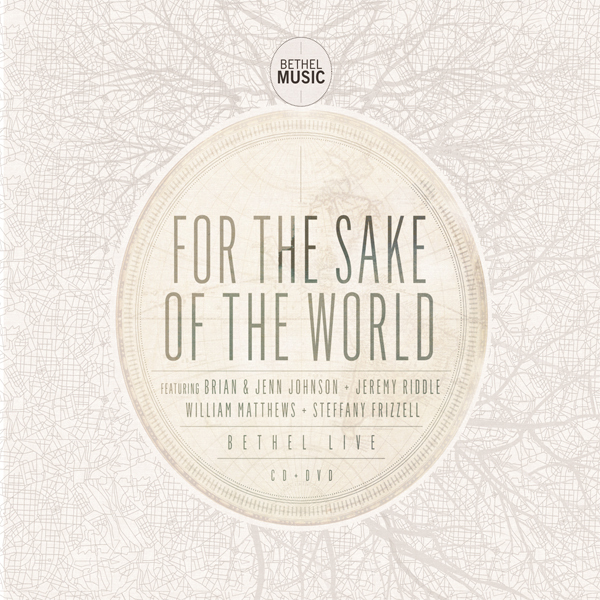 For the Sake of the World: This title track should be an anthem for the church-at-large, to let the fire of God propel us to have passion for the world to know Jesus. “For the sake of the world, burn like a fire in me. Light a flame in my soul for every eye to see. For the sake of the world, burn like a fire in me.” I connect to it because it is externally focused. There are not enough songs like this out there, in my opinion. This new project from Bethel is great for personal worship, but also has a few corporate gems that the church needs to be singing. Give it a listen, give the songs a try and let us know your thoughts. For more information on The David Project, visit our website at http://thedavidproject.com.